I added my own spin to drafts today too. I never got the ‘first draft’ ‘second draft’ thing. I wrote and edited as I went along, so I could rarely show you what version of a story was what. But finding that I could edit the labels in Scrivener got me thinking and I made up my own system. Get the wordcount: Each of my 15 outlined points has a wordcount estimate of 2500 words. This will leave me with a book of 75,000 words. In a few cases I’ve already gone over the limit, and I’m sure there are points where I won’t be able to get to the 2500 exactly, but I want to give myself a goal. I can edit a little as I go along, so this isn’t a strict first-draft with no edits, but it is the ‘bleed all over the pages’ stage (this is a metaphor despite my subject matter). I’m also not allowed to sit and fret over one paragraph- that’s for later. Make it pretty: So I’ve hit 2500 and the words mostly make sense. Some of the scenes sort of stop in the middle, and I need to rewrite the opening paragraph, and this is the step where I’m allowed to put everything in its place and well, make it pretty. I should be able to read it from start to finish without wondering WTF. Make it functional: This is more nitty-gritty. Check the grammar, double-check the spelling, and triple-check I meant that exact word. Then read through the story from start-to-finish and see if it works as a whole. Maybe I need easier transitions or there was a plot point I dropped and need to get back to. Beta crit: After it’s Functional in my eyes I’m going to pass it over to my beta-readers/editor etc and let them at it (while starting work on the outline for Aconitella). Then I’ll take all of their comments and help and make adjustments as I see fit. 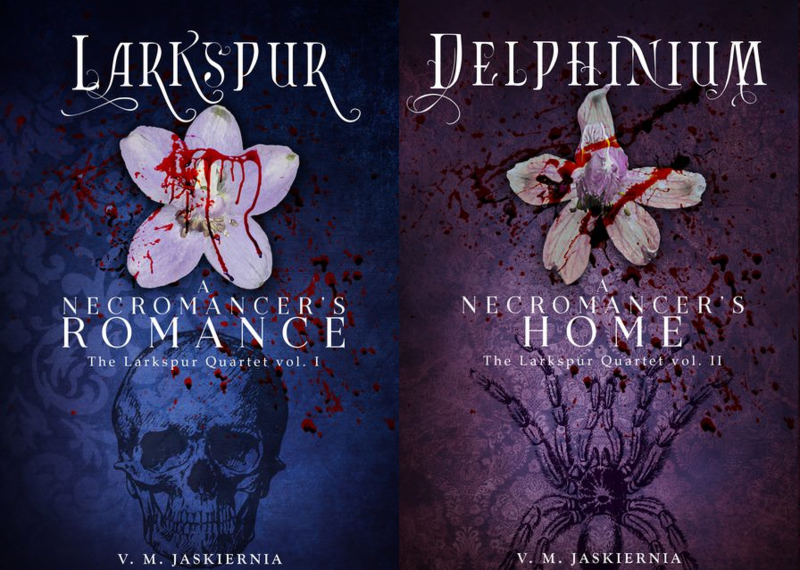 I’ve paid an editor previously to help a bit with Larkspur, and I’m going to use 5 close writer-friends for beta readers for Delphinium. All that’s left then is some formatting and I can publish my sequel. Right now I’m still mostly in the ‘Get to the Wordcount’ stage, but a few of the points are at “Make it pretty” and the first point can be moved to “make it functional” soon.